Syed Shah Afzal Biabani (1795 – 1856 A.D / 1210 – 26 Safar, 1272 AH) was a Sufi from Warangal, Hyderabad State (now Kazipet 132 km from Hyderabad, India). He was appointed as Kazi of Warangal during the reign of Nizam Ali Khan (Asaf Jah II).The word "Biabani" is a plural of Urdu & Persian word "Biaban" which means soonsan (in Urdu) and uninhabited place in English. He received this nickname because he spent 12 years in Tasawwuf (a form of Sufi meditation) in the caves located in the forest of Battupalli near Kazipet. Hazrat Syed Shah Afzal Biabani (R. A.)  was born in 1210 Hijri (i.e., 1795 A.D.) at Kazipet Jagir, Dist. Warangal, Hyderabad State, India. Hazrath Syed Shah Ghulam Mohiuddin Biabani (R.A.) and Hazrath Qasim Bibi Saheba (R.A.) were the parents of hazrath Syed Shah Afzal Biabani (R.A.). Mir Qurban Ali, the then Collector, Warangal was his father-in-law. Hazrath Afzal Biabani (R.A.) was a saint (Vali Allah) by birth. His mother said that there was something extraordinary in him right from the childhood. Some miraculous incidents were manifested even in his childhood. Once at the residence of her brother, Syed Murtuza Hussaini at Qutbi guda, Hyderabad, playing with children of his age (4 to 5 years old) in the court yard, he dug a small pit (well), like the other children. But to their astonishment water was found in the pit dug by him, where as the other pits were dry. His maternal uncle said that Afzal Biabani would become a saint and a man of miracles in future by the grace of Allah. Hazrath (Hazrath Afzal Biabani R.A.) received primary education from his father and Faqirullah Shah (R.A.), a great scholar of Qur’an and Hadith and a sufi saint at Fort Warangal. Once when Hazrath Afzal Biabani was going to Fort Warangal, in the evening his companions were left behind and it was getting dark. When he reached "Gunjshuhada" (Graveyard) a group of men bearing torches (Mashals) followed him. As soon as he reached Fort Warangal, they disappeared. This clearly reflects his reverence and grace of Allah on him. A strange incident on the way to hyderabad which is a clear proof that Hazrath was chosen by Allah and destined to be a "Vali Allah" a friend of Allah in his boyhood only. The great scholars of Islamic studies and Sufi-Saints Moulavi Qutubuddin R.A. and Moulavi Sadruddin R.A. taught him the holy Qur’an, Islamic law (shari’at), exegesis (tafseer) of the holy Qur’an, the tradition (Hadith) and the principles of Jurisprudence (Fiqh). He learnt by heart the holy Qur’an at the age of 12 under the supervision of above said great scholars, which is a great achievement and honour for a boy of 12 years. Following the sunnat of Holy Prophet, Hazrath Afzal Biabani (R.A.) had adopted worship, invocation and meditation in the secluded caves of hills in the jungles for gaining complete defiance and control over sensual pleasures and desires. He used to go to the hills of Papannapet in Medak District of Hyderabad state. where he invoked the name of Allah, performed prayers (Namaz) and meditation. Thus he glorified Allah the Almighty day and night. At the age of 28 he left hills of Medak and came back to Kazipet, where he continued worship (Namaz), invocation (Zikr) and meditation in the cave of Bhattupally hills (not far from Kazipet village) by renouncing the world. Once the warangal district was severely effected with drought. There was no water for irrigation and even for drinking purpose. Ali Hussain and some disciples approached Hazrath Afzal Biabani (R.A.) to pray Allah to bless with sufficient rains. First of all he refused to do so. After repeated requests, he along with his disciples went to the Laal tank situated near Kazipet village. Which was empty and dry. After doing vuzu (ablution) he sat in the middle of the tank, offered Namaz and prayed for rains by prostating sajda. The people observed that clouds were formed over the sky and with in few minutes it started raining heavily, streams began to flow and the tanks were full. Hazrath and his disciples returned to their homes fully soaked in the rain water, farmers were very happy. His prayer never went unanswered. Hazrath Afzal Biabani (R.A.) saved the scheduled caste people of Kazipet and near-by villages from forced labour. It shows his act of social justice against oppression, protection of human rights and uplifting of down trodden. Hazrath Afzal Biabani (R.A.) used to teach his disciples high morals like simplicity, social equality and to serve people irrespective of their caste, creed, language, religion and region. 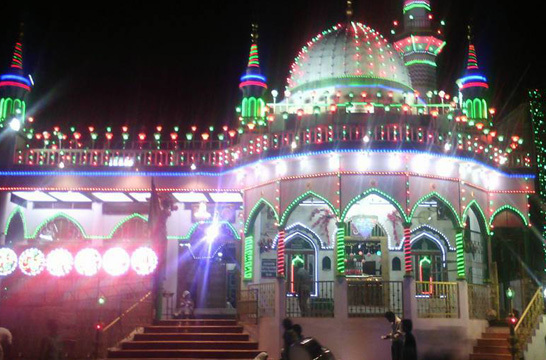 Even today, Hazrath's Shrine (Dargah) at Kazipet is much thronged and revered by Muslims, Hindus, Christians and Sikhs alike. Hazrath Syed Shah Afzal Biabani Rahmathullah Alaih said: "When I was immersed in worship and invocation in the hills of Bhattupally village thechief sufi-saint Hazrath Sheikh Abd al Qadir Jeelani Gous-e-Aazam Dastageer Razi Allahu Taala Anhu, appeared and blessed me with sainthood. I got theopportunity of shouldering his palankeen (Palki)." With the kind blessings ofHazrath Sheikh Abd al Qadir Jeelani (R.A.) He became a great sufi-saint ofthe rank of Hazrath Abu Yazeed Bistami (R.A.), Hazrath Shibli (R.A.) ANDHazrath Junaid Baghdadi (R.A.) of his time. He said to his son: "I am very grateful to Allah because He has graced mewith highest rank of sainthood (vilayath) and I have received it gratefully with His Grace and His Prophet's (p.b.u.h.) blessings.